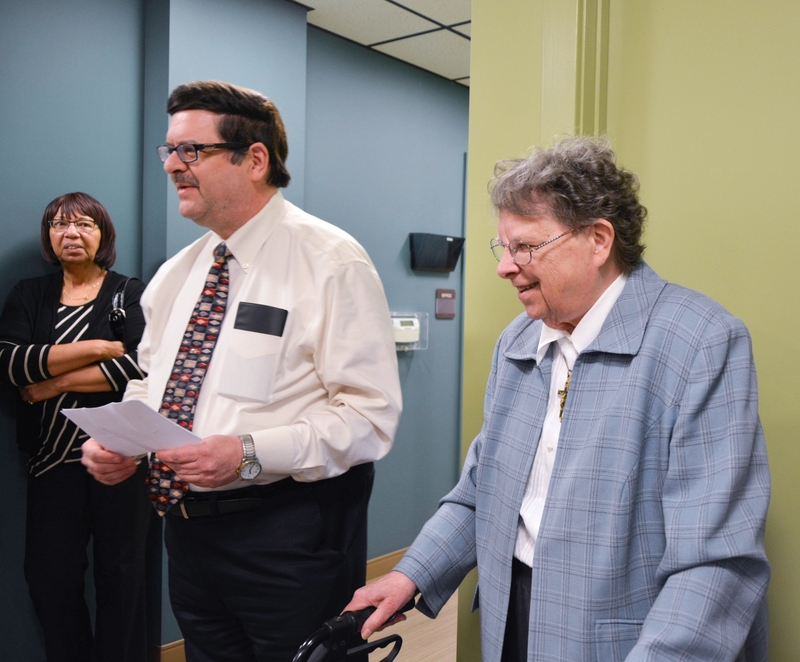 Sister Ruth Bearer recently walked into a surprise event where she was the guest of honor. 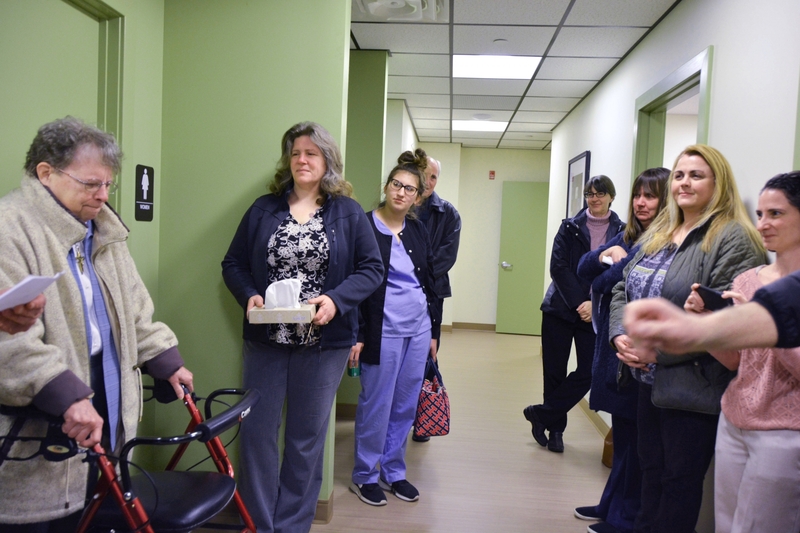 More than 30 current and former staff members of the Sto-Rox Family and Hilltop Community health centers greeted and celebrated with Sister Ruth at the Hilltop facility where the Education Room was dedicated in her name on March 12. “Sister Ruth was part of our organization for 25 years. It was predominantly her efforts that made the Hilltop expansion site possible with its start on Climax Street in November 2014. It is only fitting our Hilltop site today is located on Ruth Street,” said Dr. John Barczynski, executive director of the health centers. Sister Ruth served seven years at the Focus on Renewal Center and 18 years at the Sto-Rox Health Center before retiring in 2011. She recently authored a book on the history of F.O.R. 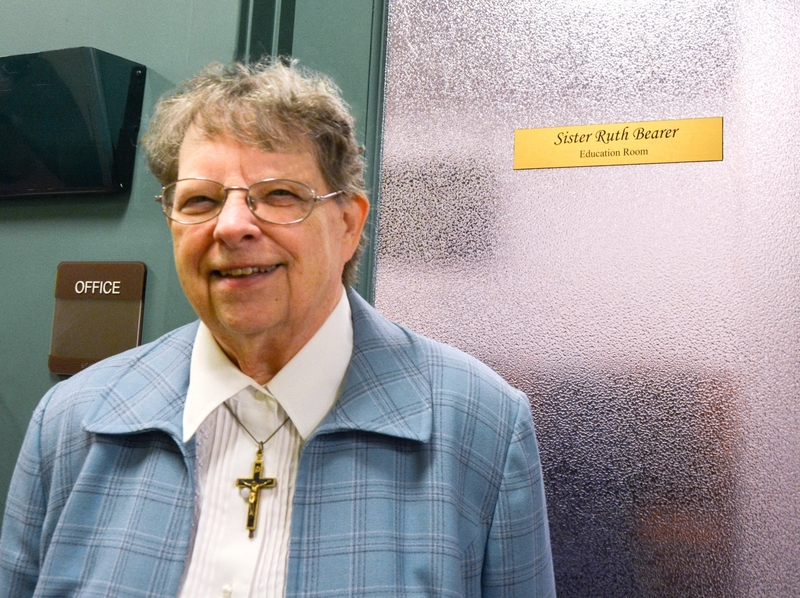 called “Fifty Years of Footprints.” While cleaning out materials in her office, Sister Ruth was inspired to write the history and dedicated the book to Father Regis Ryan, long-time Executive Director of F.O.R. and the Health Center. 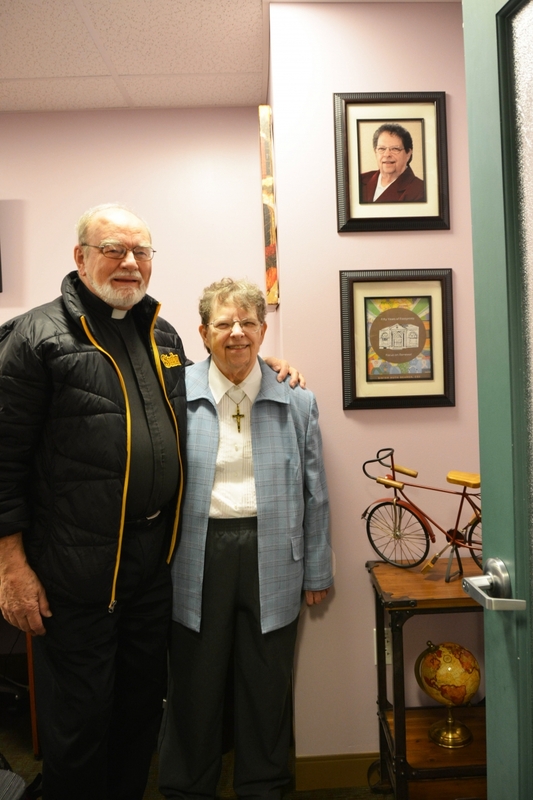 At the March 12 dedication, Sister Ruth believed that she was attending a lunch to honor Father Regis. 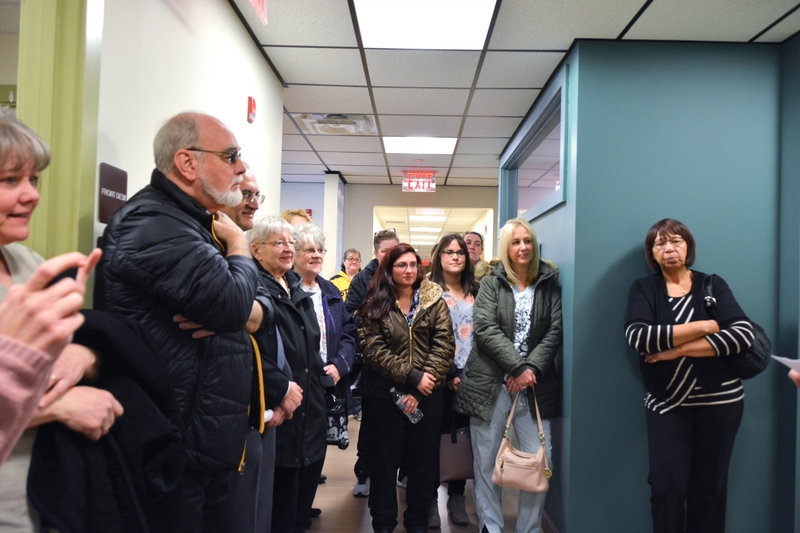 Clearly overwhelmed and surprised by the outpouring of support from friends and former co-workers, Sister Ruth expressed her gratitude and beamed at the brass plate that bore her name on the door of the education center.